To properly hone carving gouges I needed an array of strops charged with abrasive paste. 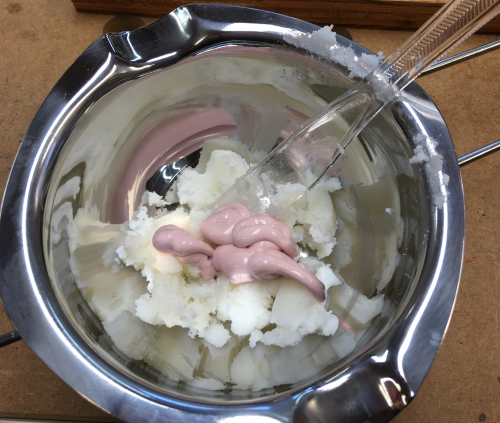 The first ingredient for this mixture is a substance that provides the paste part of the mixture...it should be tallow or you could substitue suet. 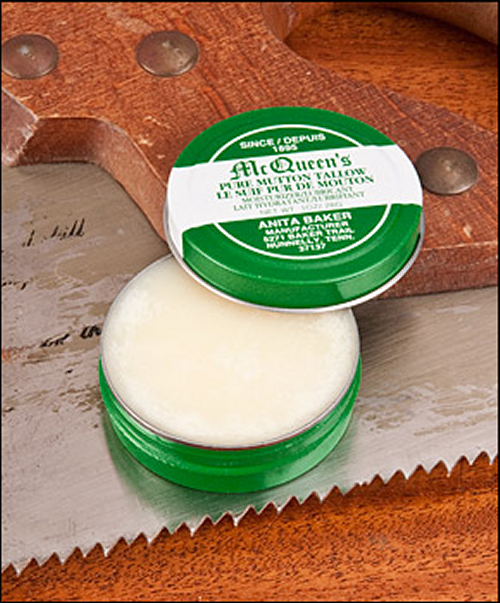 I got a couple of tins of mutton tallow...this used to be a standard too lubricant in the old days...McQueen's has been making it since 1895. I put an ounce in the mixture. The ratio of paste to abrasives is 1:2. 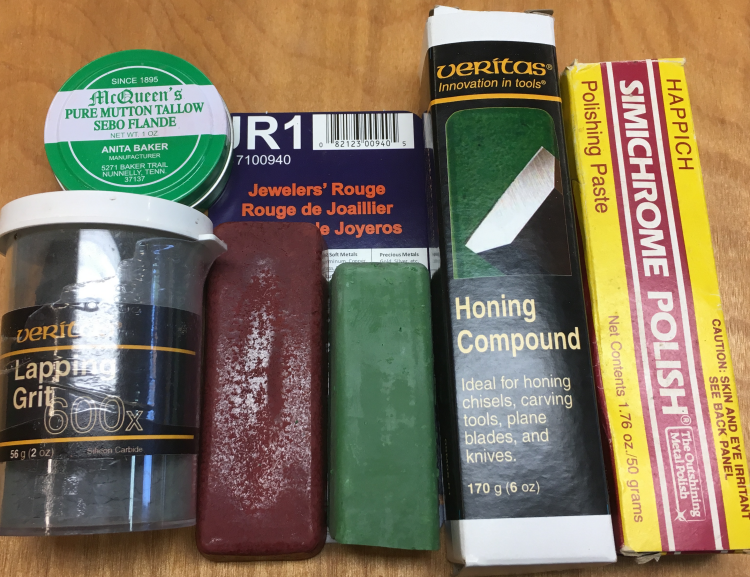 Pye recommended a number of types of abrasives as possibilities...I settled on four...starting with a squeezable polish...Happich Simichrome is a metal polish...I put in about 1/2 ounce. 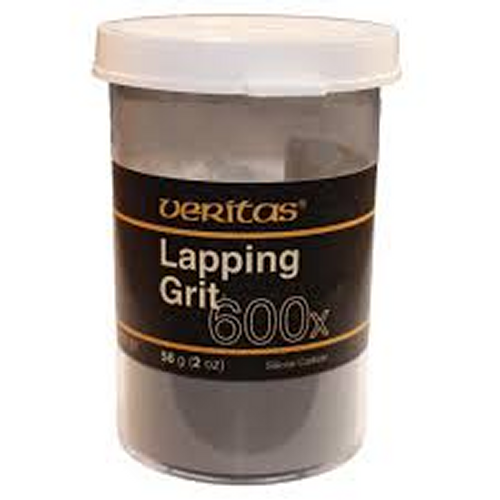 Veritas lapping grit is a fine abrasive silicon carbide (SiC) grit. 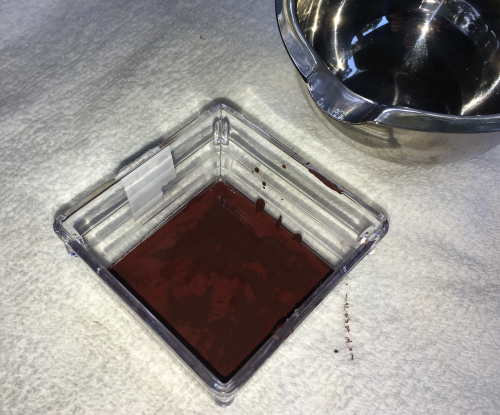 I put in a little more than 1/2 ounce of 600x. 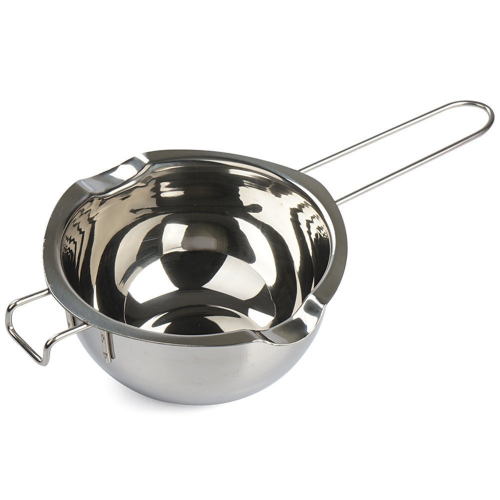 Veritas honing compound is a blend of chromium and aluminum oxide. 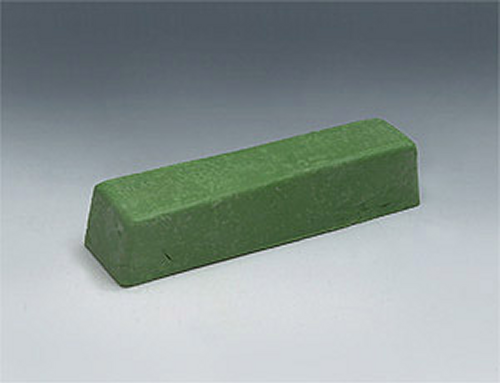 It comes in a cake for use in charging honing slip strops, bench strops or felt wheels, etc. I chiseled off some pieces and put in 1/2 ounce. 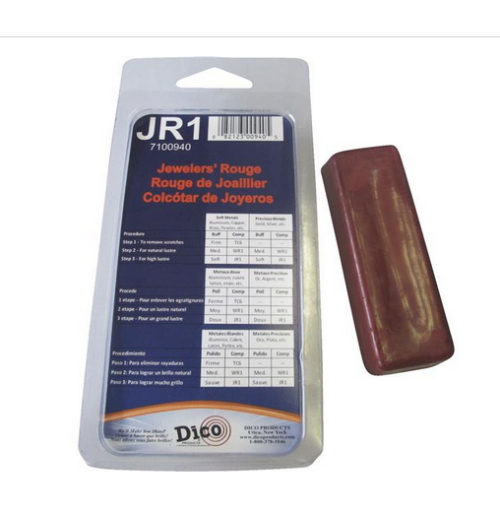 Final ingredient is jeweler's rouge...I got a bar of Dico JR1 at Montgomery's Hardware...chiseled off a chunk and put in 1/2 ounce. 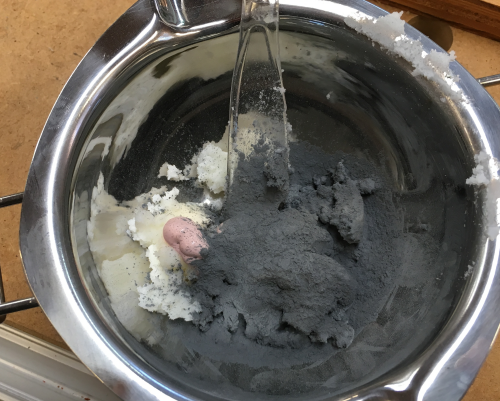 The tallow and abrasives were heated in a stainless steel melting pot. 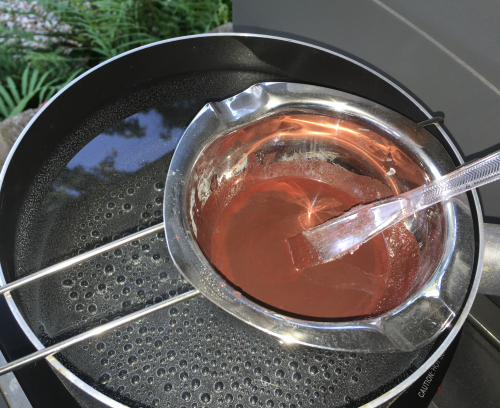 This pot rests on the rim of a large pot, the bottom of the melting pot is submerged in the heated water in the larger pot, a double boiler setup. 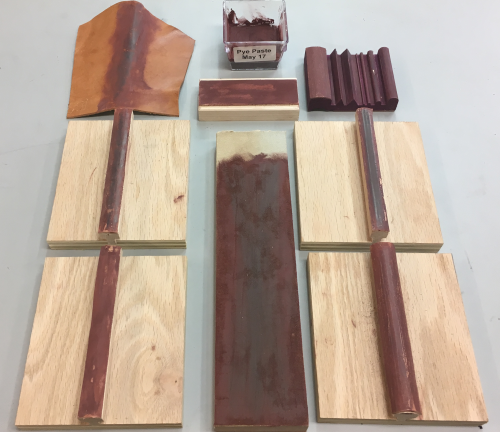 A range of leather strops were charged with the Pye Paste...large bench strop, small bench strop, flexible leather strop, Flexcut slip strops, bench slip strops.